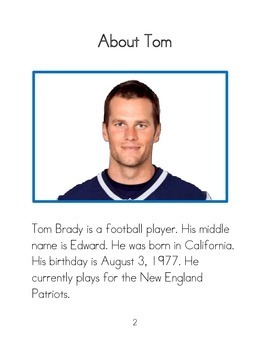 This is a easy to read biography about Tom Brady. 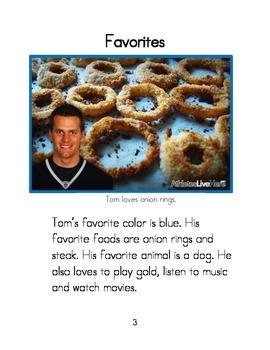 These are meant to be easy reads for students to use to learn more about famous people. 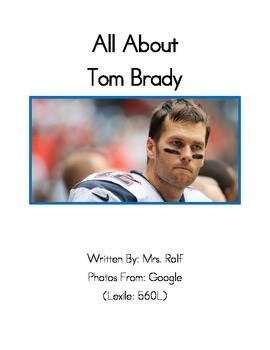 These can be used to teach a variety of standards.